Tennessee Sen. Bob Corker said President Trump is "obviously not going to rise to the occasion as president." Tennessee Sen. Bob Corker delivered his harshest criticism yet of President Donald Trump on Tuesday, again questioning the Republican leader's competency, calling the president untruthful, and implying for the first time that he now regrets supporting Trump. 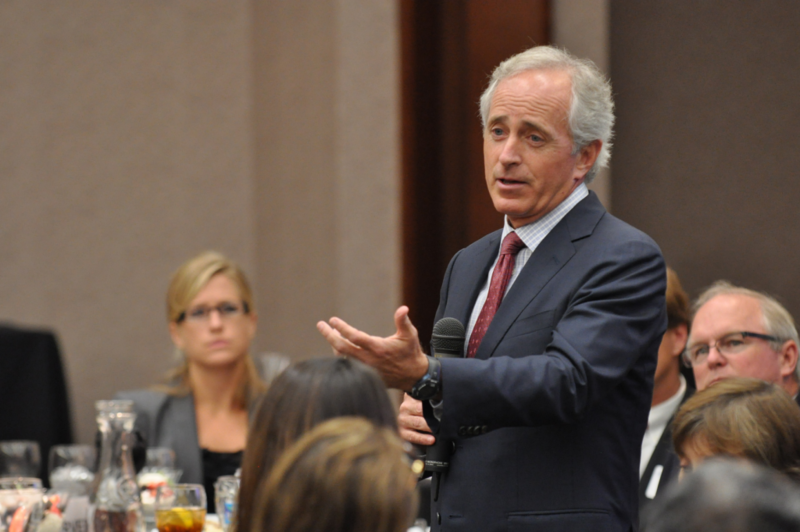 In a series of television interviews and a post on social media, Corker said Trump has failed to grow into the role of president, as Corker had hoped he would. Asked by a CNN correspondent about his past support for Trump, Corker said he "would not do that again." Corker added that he's tried many times to talk to Trump about his behavior. Like the president, Corker is a former real estate developer, and the two have enjoyed a close relationship. 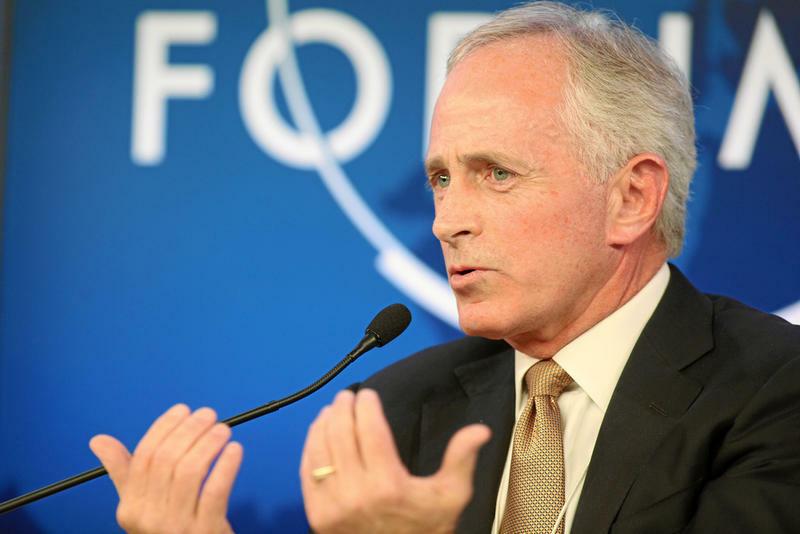 Prior to the election, Trump briefly considered Corker to be his running mate; afterward Corker was on the list of candidates to be his secretary of state. They've golfed frequently, and in a recent interview, Corker claimed Trump sometimes calls him late at night for advice. But Corker's remarks on Tuesday prompted Trump to unleash a fusillade of angry tweets. He called the senator "a lightweight" who couldn't get elected dog catcher. Corker denied that Trump had refused to endorse him. In fact, he said, the president promised four times to back him if he sought re-election. His office pushed back against claims that Corker helped pass the nuclear deal with Iran. It noted that Corker had voted against the agreement. Corker's attacks on Trump came just hours before the president was scheduled to meet over lunch with Senate Republicans to discuss tax legislation. Later, Corker told reporters the two did not speak at the meeting. Corker has been a prominent critic of a plan currently circulating to cut taxes because it's also projected to increase the national debt. Early in the morning, Corker said he hopes the White House will "step aside" and let Congress hash out tax reform legislation. One long-time friend of Corker, Tennessee Gov. Bill Haslam, says the senator was probably being sincere in his criticism of Trump. Though he hasn't spoken with Corker about his remarks, Haslam doubts they were off the cuff. "Public offices are hard, right? You're called on to give your opinion about a lot of things, and you have to decide, 'What are the things that I feel strongly enough about?'" Haslam said. "And obviously Bob felt strongly enough about this to say something." 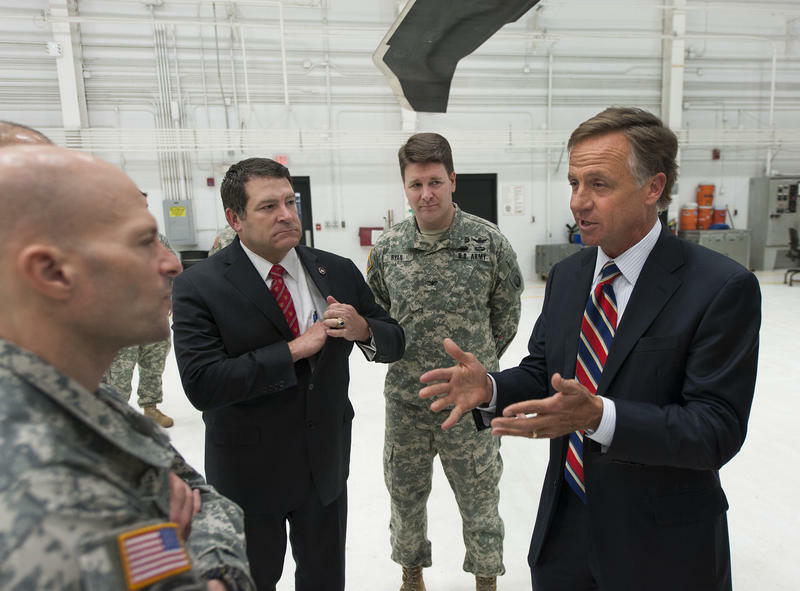 Haslam was among the few Tennessee Republican leaders who refused to support Trump during last year's election. Haslam says he continues to hear criticism for that decision. "I'm sure Senator Corker will as well," he said. "But at the end, you have to say what you really think." U.S. Representative Marsha Blackburn says the Senate is slowing down President Trump's agenda. Her remarks come amid an ongoing dispute between Trump and Bob Corker. And while she's declining to call out Tennessee's current senator, she's making it clear she wants them to move on. Gov. Bill Haslam issued a statement Thursday saying he will not run for U.S. Senate, altering the calculus of the race to replace the retiring Republican Bob Corker and other races down the ballot. So far, two other politicians have announced their decisions later in the day as well. Tennessee Senator Bob Corker says he will not seek another term. In an announcement released Tuesday afternoon, the two-term Republican says he never expected to stay in Washington more than 12 years. Internet pranksters — and former House Speaker Newt Gingrich — have been inundating Tennessee Sen. Bob Corker with calls after he criticized President Trump's response to the violence last weekend in Charlottesville, Va. But Corker isn't expressing any regrets. 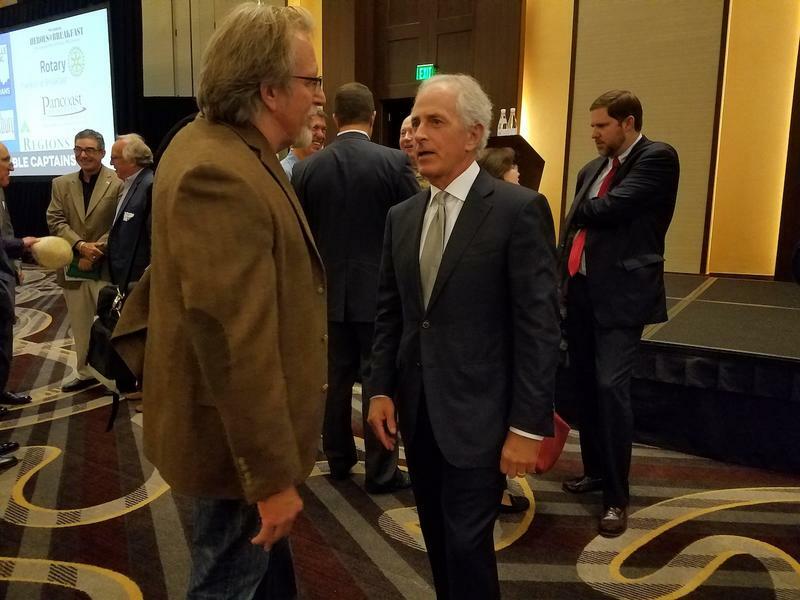 A day after Corker complained that Trump isn't showing the "competence" or "stability" needed to be president, the Tennessee Republican spoke again to reporters following a breakfast engagement at the Omni Nashville Hotel. Corker said he isn't sorry he supported Trump in the general election or for his past praise of the president, but he does want Trump to become a unifier, rather than a divisive figure.